In this season of love and giving, may we all remember the beautiful love of a small child. Have a meaningful and love-filled Christmas season and new year ahead. May your days be filled with love, joy, growth, and inspiration. Merry Christmas from everyone at Mediascope! family. 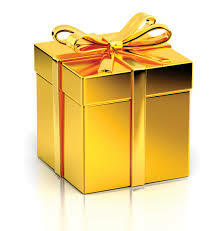 This particular year a few days before Christmas, he punished his little five-year-old daughter after learning that she had used up the family’s only roll of expensive gold wrapping paper. As money was tight, he became even more upset when on Christmas Eve he saw that the child had used all of the expensive gold paper to decorate one shoebox she had put under the Christmas tree. He also was concerned about where she had gotten money to buy what was in the shoebox. While the first goal of any business is to make a product or provide a service in a way that maximizes profits, many companies also have a keen sense of corporate social responsibility. They believe in providing a positive contribution to the quality of life in the community where they do business and where their employees live. The community in which we live greatly affects the quality of our everyday lives. A vibrant and attractive community which attracts and holds people is in everyone’s best interest. An active volunteer sector is essential to a healthy community. Since the well-being of business is linked to the health of communities, the corporate sector also has a stake in ensuring our communities are well served. Mediascope team members help package food at a Feed My Starving Children event. increase their understanding of community needs and issues. develop teamwork and leadership abilities. balance their work and personal life by getting involved in something they care about. find personal satisfaction and increased sense of self-worth. learn new skills, broaden their experience, and develop their careers. improve their mental and physical health. Mediascope participates in a variety of volunteer opportunities. We provide a team of two people one day a week to help deliver lunches through a Home Delivered Meals program. 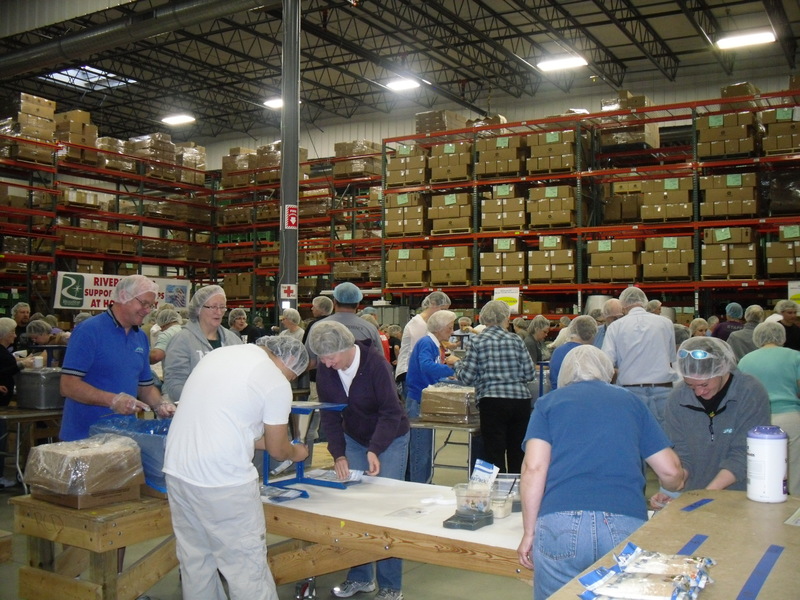 We also participate in a program called Feed My Starving Children, where a team of co-workers help package a special blend of foods sent overseas. We have also helped build Habitat for Humanity homes and have participated in a community beautification program. What types of volunteer opportunities does your company provide? Please feel free to go to our Facebook page at http://www.facebook.com/pages/Mediascope-Inc/254554194575912 and let us know. CMYK . . .RGB . . .Pantone Colors. What’s the big deal? 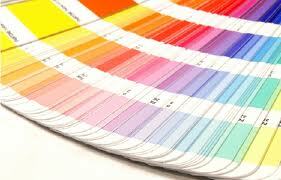 The terms CMYK, RGB, and Pantone (or PMS) are often used during conversations about print. What do the terms mean and how do they impact you? 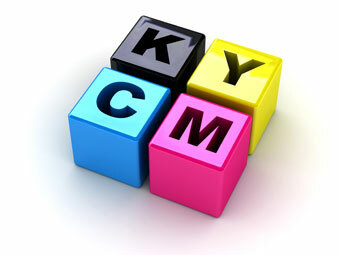 CMYK refers to the four ink colors used in process color printing: Cyan (a light blue), Magenta (a pinkish red), Yellow, and Black. In 4-color printing (process color), all of the colors you see are made up of combinations of dots in these four colors. RGB stands for Red, Green, Blue. These are the colors you see when you look at images on your computer screen or at photos taken with your digital camera. The colors are made up of a combination of these three hues. In process color printing, these colors need to be converted to CMYK. Pantone Colors refer to a color matching system (Pantone Matching System or PMS) where inks are made into specific colors which are then printed in a color-matching swatch book. Some process colors are difficult to achieve through process printing (especially oranges and some greens), so using a pantone color ensures a perfect and consistent color match. Jobs can be printed on 5- or 6-color presses using the four process colors plus one or two spot (pantone) colors in order ensure an exact color match. It’s important to recognize one of the major differences between CMYK and RGB. 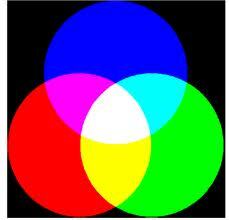 CMYK colors work by “subtracting” or absorbing light reflected from a white piece of paper. With no ink on the paper, all of the light is reflected back to the eye and the paper appears white. RGB colors, on the other hand, are additive colors. Your computer monitor is black and light is added to produce color. White is produced when all three colors are added at a density of 100%. Due to the two different color standards, colors will appear very different on your monitor than they will on paper after being printed. And too, no two monitors illustrate color exactly the same, which further complicates color design and printing. Because what is seen on the monitor is not the same as the printed page, designers often use PMS colors as a standardized point of reference. Then, depending on whether the piece will be used on the web or as a printed piece, they convert the pantone colors to RGB or CMYK. For printed jobs with a color that needs to be an exact match, that color is kept as a pantone color and treated as a 5th color on press. This does, however, increase the price because of the extra plates, set-up time, and wash-up time. The need for an exact color match should be weighed against the extra cost. So, to summarize, CMYK, RGB, and Pantone refer to three different types of color standards used in the design and printing industries. While it may sound confusing at first, it makes sense to those who work with it on a regular basis. Let your printer know if you have questions about the right way to use these color standards and they’ll be glad to help you. Color affects our perception, our thinking, and our actions. Two weeks ago, our blog, The Psychology of Color, talked about the meaning behind certain colors but did you know that just the use of color accounts for 60% of the acceptance or rejection of an object? Technological improvements have not only improved color digital printing quality but have made color printing more affordable, even in smaller quantities. 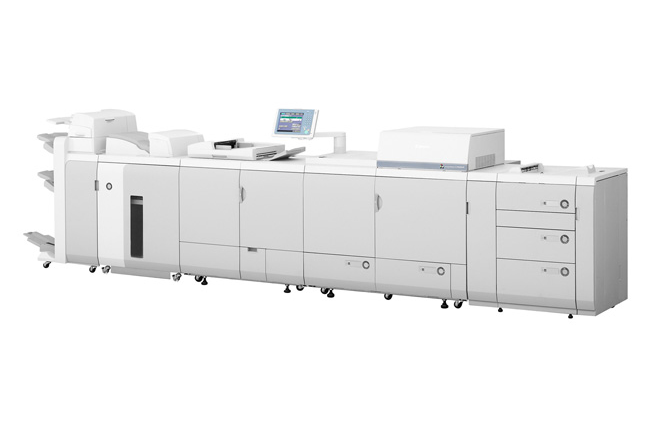 Color digital printing equipment is now available in configurations to fit almost any size or type of job, as long as the printing job lends itself to digital printing. (For more information on digital printing compared to offset printing, see our blog, Digital or Offset Printing.) Some digital printing devices can now print five- or six- color jobs, and even print with white ink or apply a clear coating similar to a spot varnish in designated locations. Next time you’re considering a print job, consider adding color to what may have traditionally been a black and white piece. 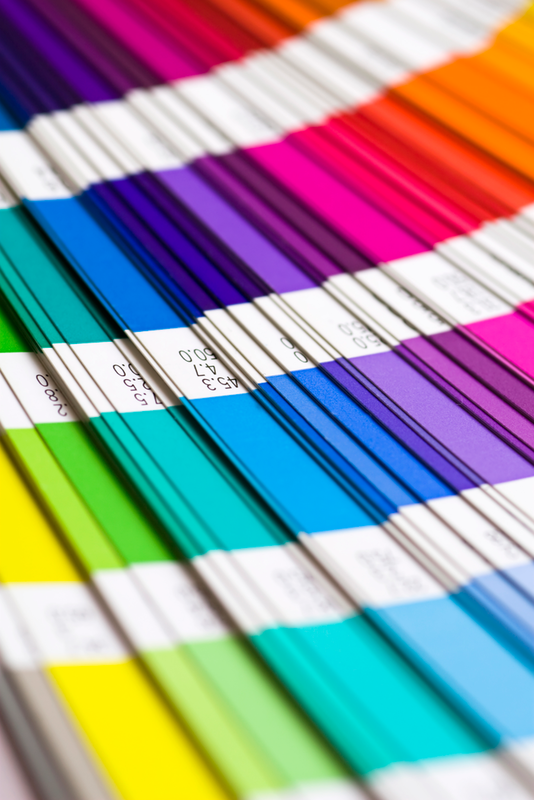 Not only is color more affordable than it used to be, the advantages of color printing are worth taking another look at. The statistics above tell us an important thing: color sells! As you may have noticed, our blog has been on hiatus over the past few months. We’ve installed a brand new Canon ImagePress C6010 digital printing press, giving Mediascope the ability to handle short runs of premium quality color prints. The digital press is integrated with leading-edge production software, and handles complex variable data printing with ease. We’ve also made additions to our staff, hiring a full-time professional graphic design team. These hires ensure that your next piece stands out from the rest. Design samples are coming to the blog soon, and are available upon request now. Mediascope has recently placed a sales rep in Texas! This helps Mediascope to better serve our interstate customers, and we look forward to continued partnerships in the Dallas/Ft. Worth area. These are just a few of the improvements we’ve made recently, and now we’re back to blogging! Come back every Friday for insights and tips on running a business in the modern era. Mediascope believes in giving back! We are blessed in so many ways — the industry in which we serve, our relationships with each other and our customers, and the privilege of working in an area surrounded by the beautiful river and bluffs of Winona — that it seems only right to share and give back some of the riches we receive. One of the ways we are able to give back is through professional and community volunteerism. We recently signed on to participate in a volunteer opportunity called Home Delivered Meals. As part of the Winona Volunteer Services program, a rotating team of two Mediascope staff members deliver lunch time meals one day a week to a list of clients in need of receiving a home-delivered meal. We have participated in other volunteer opportunities in the past, too, such as Habitat for Humanity. We are also involved in many professional organizations, both within our community and our industry. Team members serve a variety of roles in various organizations such as Chamber of Commerce, Mail & Fulfillment Services Association, Printing Industry of Minnesota, Direct Marketers Association, Christian Bookseller’s Association, and the Society for Human Resource Management. Our team members volunteer on a personal level for a number of organizations also, including the Rotary Club, Winona County Developmental Achievement Center, Big Brothers Big Sisters Advisory Council, Humane Society, Celebrate Recovery, and a Leadership Development Program with college men. Investing in professional organizations and in our community is a great way to give back to those who have supported us over the years. 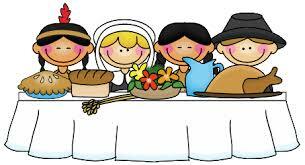 We at Mediascope are glad for the opportunities to help others, just as we have been helped. It seems like the least we can do.